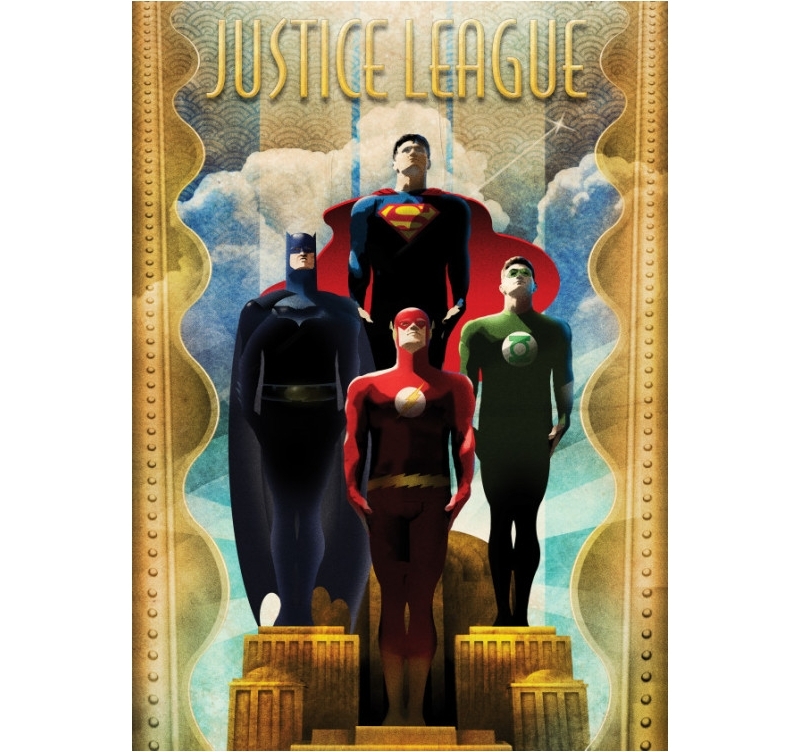 A vintage style for this Justice league metal poster ! 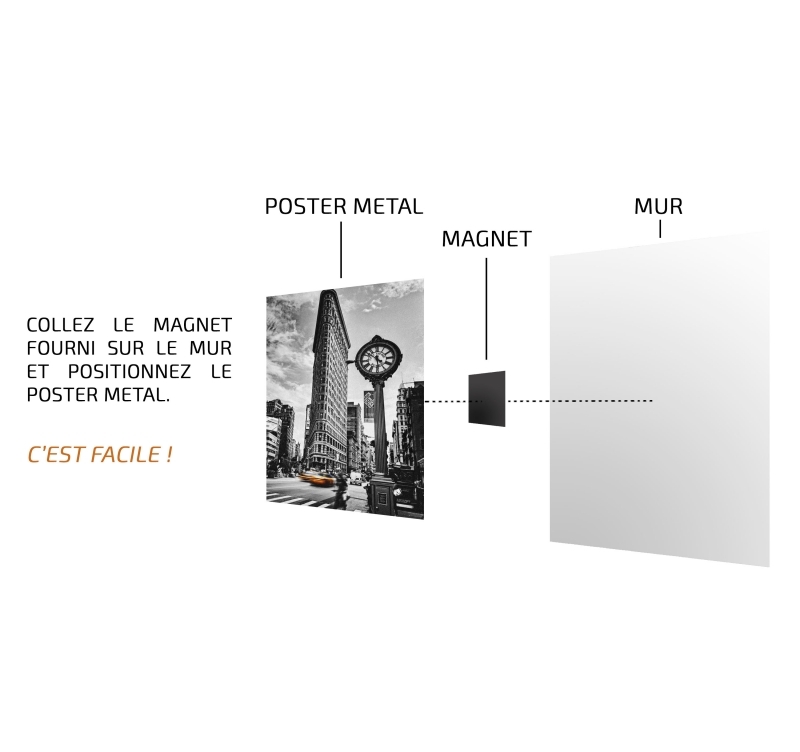 This metal wall poster of the super heroes is delivered with its magnetic hanging system. 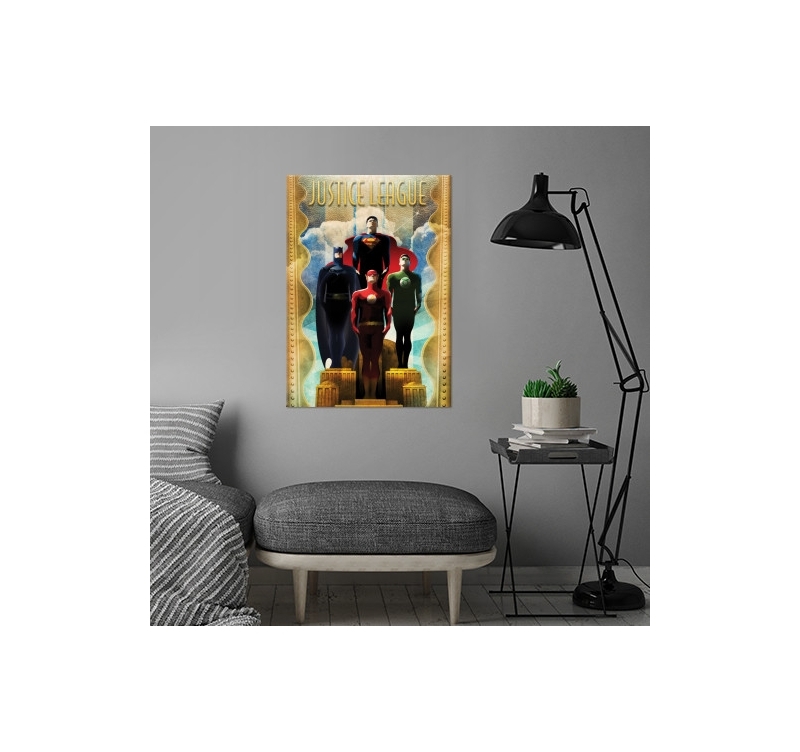 Free delivery in metropolitan France and Belgium for this Superman and Batman poster. 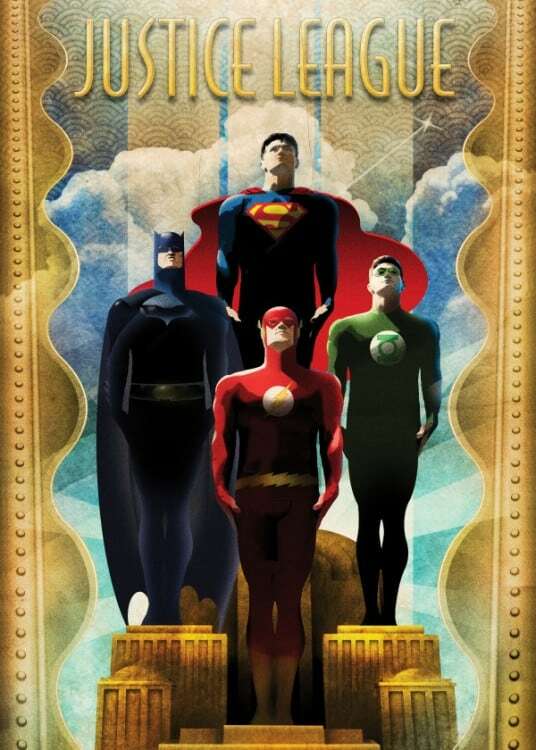 Your favourite DC Comics super heroes together on a metal poster ! From Superman to Batman, this wall poster is a bunch of super powers fighting against crime with intelligence. Worthy of a cinema poster, this collector poster will be the favourite objet d’art of all the fans. 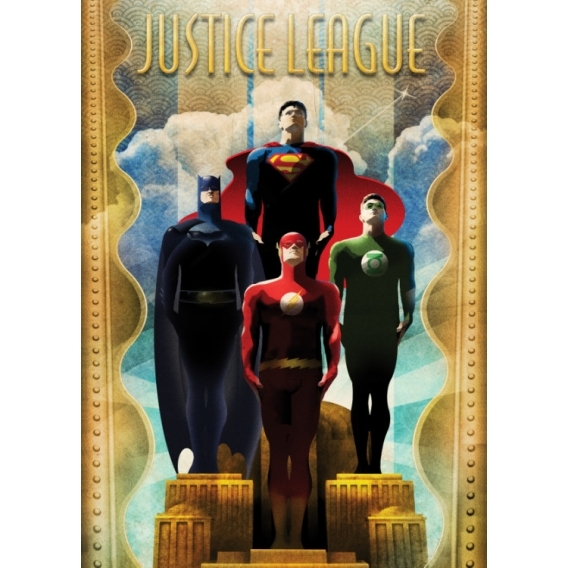 The vintage style of this retro poster gives it a unique charm that will brighten up your interior decoration while recalling the beginnings of the Justice League. 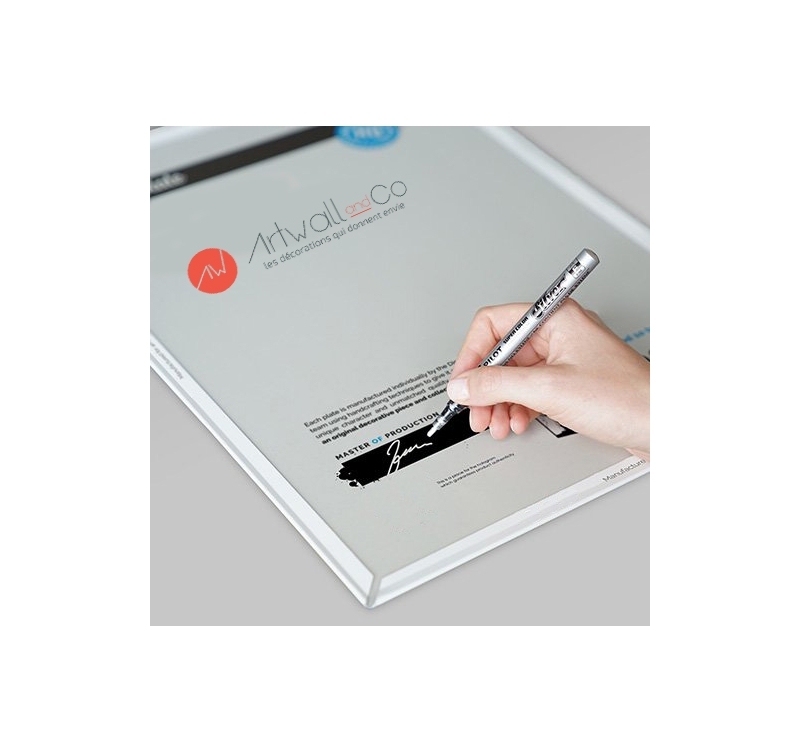 This original poster is delivered with its magnetic hanging system for an easy setting. 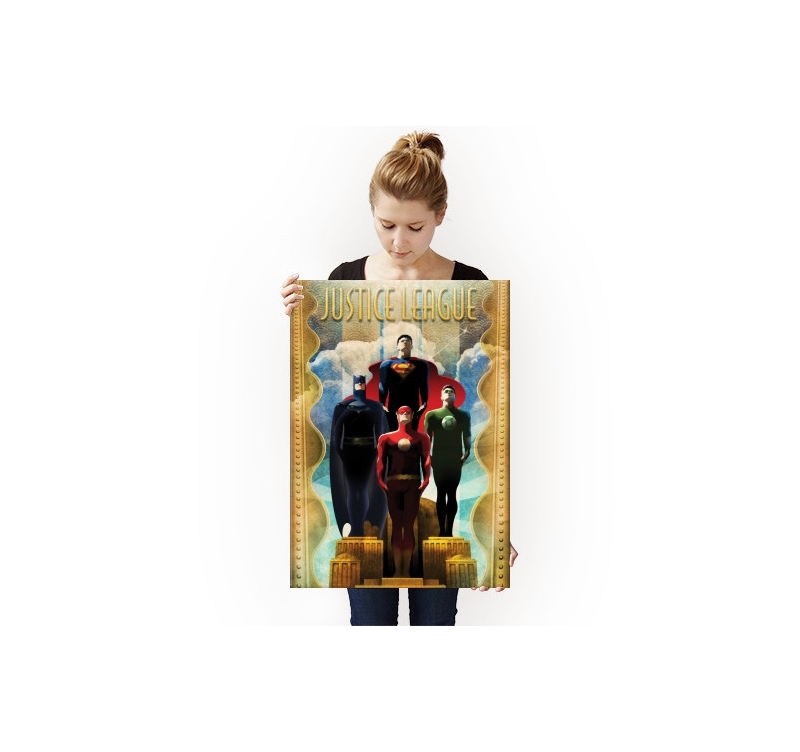 Purchasing this Justice League poster allows you to support the artist that created it.